What can schools do to eliminate sexism and racism? By the 1990's with shifting demographics, disillusionment with conventional liberal policies and new political coalitions, the politics of race and gender requires new analyses. The chapters in this book demonstrate how the politics of race and gender enter into proposals for parental choice, business involvement in schools, definitions of good leadership, special schools for minority children, curriculum debates, and debates about testing and accountability. 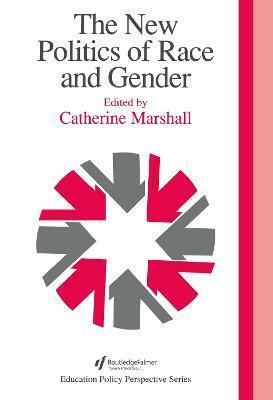 Catherine Marshall provides the political historical context of race and gender politics in schools, and the following eighteen chapters provide a greater in-depth analysis. The chapters include work of scholars and policy analysts focusing on policy and policy implementation at all levels of school politics in the US, Australia and Israel. The book ends with critical policy analysis, raising deep theoretical questions and pulling out the chronic race and gender issues in education politics. Part 1 Cutting Across Race and Gender: Accountability, invisibility and the politics of numbers - School report cards and race, Carolyn D. Herrington; Race Ideology and the battle over curriculum, Carolyn B. Cody, Arthur Woodward and David Elliot; The micro-politics of student voices - Moving from diversity of bodies to diversity of voices in schools, Gary L. Anderson and Kathryn Herr; Business involvement in school reform - The rise of the business round table, Kathryn Borman, Louis Castenell and Karen Gallagher. Part 2 Issues of Race in the midst of reform: Do African American males need race and gender segregated education - An educator's perspective and a legal perspective, Kevin Brown; Community Politics and the education of African American males - Whose life is it anyway?, Kal Alston. Part 3 Is There a New Politics of Gender? : The under- representation of women in school leadership, Colleen Bell and Susan Chase; The feminization of the principalship in Israel - The trade off between political power and co-operative leadership, Ellen Goldring and Michael Chen; What's working for girls? - The reception of gender equity policy in two Australian schools, Jill Blackmore, Jane Kenway, Sue Willis and Leonie Rennie. Part 4 Summary, Reaction and Critique: Race, gender and the cultural assumptions of schooling, Fazal Rizv.